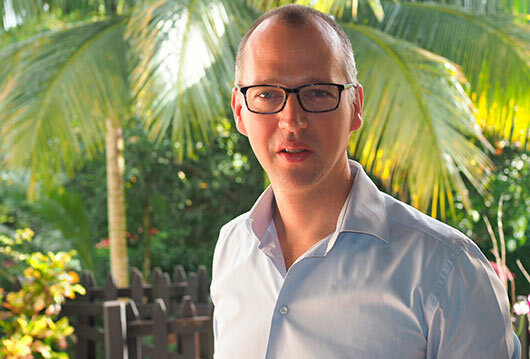 Joost van Doodewaard is responsible for the day-to-day business of On Site Alignment in the Asia region, based in Singapore. A couple of years back, they started working with equipment from Easy-Laser. 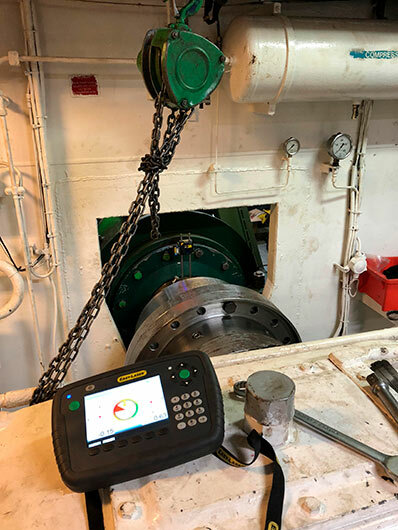 We had a talk with him about the specific challenges regarding alignment of rotating machinery on-board ships, which makes up 95% of On Site Alignment’s work in Asia. At a shipyard, a number of different tasks may occur. What would be a typical assignment for On Site Alignment? — Needless to say, there will be a lot of rotating machines on a ship, and therefore also a number of situations that may occur. As an example, we carry out alignment of the gearbox and the main engine with shaft alignment equipment. This is where Easy-Laser comes in, the E710 shaft alignment tool to be precise. The result of the measurement shows how to adjust the main engine. When the propeller shaft is removed, we can measure the position of the stern tube in relation to the main engine. We mount the laser alignment tool on the fly wheel and extend the centre line of the crankshaft. The detector is placed at the bearing positions. Values are recorded, the laser measurement program calculates and displays the position vertically and horizontally. 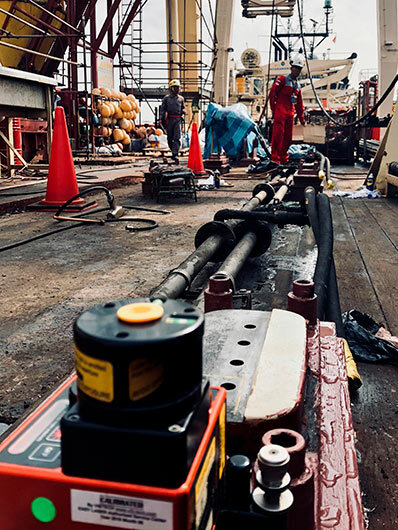 — We offer high-end services, which doesn’t prevent our work from being physically challenging, sometimes including complicated crawling through narrow and dirty areas. 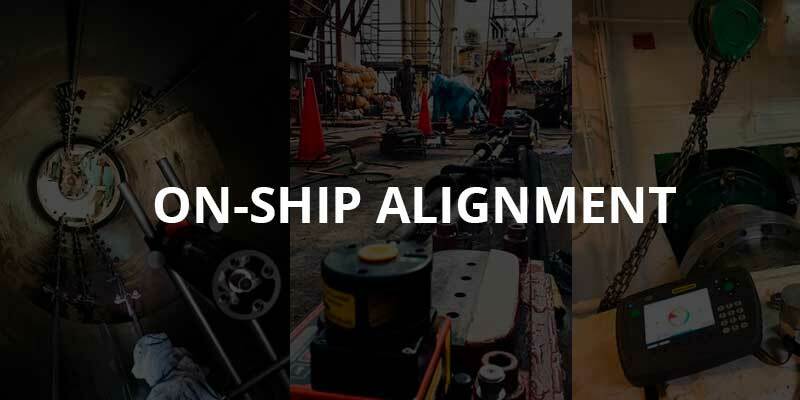 Alignment on ships comes with other challenges as well. There are a lot of parameters to take into consideration. A ship on the water is moving, and it has different loading and ballast conditions. We need to consider all of this to calculate the correct alignment targets. Strong sunlight affects metal, as we know, and of course that will affect the measurement process. To minimize the impact of this, we try to perform our work at night or early in the morning. On Site Alignment has been using the E710 shaft alignment tool for a couple of years now. What got you started? — Well, to begin with, the dot laser is more accurate than a line laser. When we looked into it, it also turned out that what Easy-Laser had to offer was actually cheaper, so in the end the choice wasn’t hard. Everyone working here has to know how to use laser alignment equipment, It’s one of our tools, and we use it whenever it’s possible. At times, laser just isn’t an option, and so we use other, more traditional tools for alignment. But I would say that laser isthe tool we use the most. It’s vital to your clients to have as little downtime as possible. Are there any advantages using laser alignment equipment, compared to other tools? — You know, anything can happen in the harsh environments where we work. Our clients need to get things going again quickly, and what happens if our tools break down? More downtime, and disappointed clients. We don’t want that. Therefore it’s important to us that the equipment we use is rugged, which is true for the E710 shaft alignment tool. Another pro is the laser alignment App, which means that even if a display unit should crash, the app could just as well be used on a backup device. Have your clients shown any interest in your laser alignment tools? — They are engineers! They will always be interested in advanced technology. They have been impressed with what they have seen from Easy-Laser, judging it to be high-quality tools. 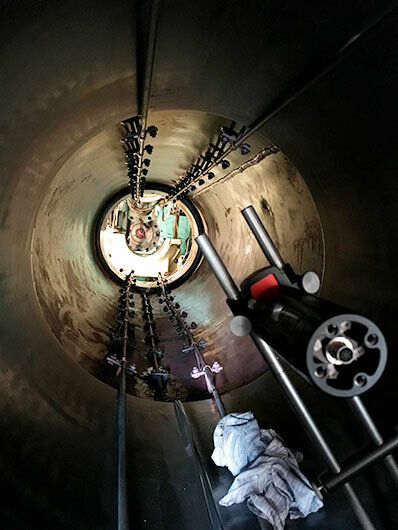 So, from your point of view, continuing using laser alignment solutions from Easy-Laser does not seem unlikely? — It seems very likely, I would say. An upgrade to the XT series when suitable is in the cards for us. Easy-Laser would like to wish On Site Alignment the best of luck with their high-end assignments, helping their clients to stay successful.